4. 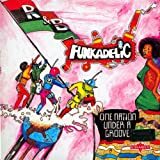 Funkadelic - Who Says A Funk Band Can't Play Rock? Who Says A Funk Band Can't Play Rock?